Posted in: New Testament, Religion, Revelation, Spirituality. Tagged: book of Revelation, Christ, Christianity, God's love, New Testament, Relationship, Religion, Spirituality. Thus far in our study of Revelation we have established that the book of Revelation is the “Revelation of Jesus, the Lamb of God,” and is about God’s plan to restore mankind to the family of God and then restoring or rather making the earth new again. Restoring it to the stunning glory and beauty as it was in Garden of Eden. Revelation 1:1-2 tells us immediately that this is the Revelation of Jesus Christ, which God gave to Him to show His servants – things which must shortly take place. And he sent and signified it by His angel to His servant John, who bore witness to the word of God, and to the testimony of Jesus Christ, to all things that he saw. Verse 3 of chapter 1 follows up the above statement with a promise. Blessed is he who reads and those who hear the words of this prophecy, and keep those things which are written in it; for the time is near. In chapter 1 John next greets the Seven Churches which are in Asia. In lessons three and four we learned about these seven church, their characteristics, their strengths and their weaknesses. These churches present during the life of John are representative of the condition of the church throughout history and prophecy from the day the Apostles received the Holy Spirit on the day of Pentecost until Christ comes the second time. Perhaps this is a good time to bring up an important element of the Bible that makes studying Revelation a little easier to understand. Genesis chapter 1 is the creation story in which we see the earth which was without form and void to six evenings and mornings later becoming a planet teaming with life and beauty with the creation of mankind on the sixth day beginning the crowning act of creation. As wonderful as chapter 1 in Genesis is, it leaves certain details out that need to be answered for us to better understand ourselves and God. So the writer of Genesis then wrote chapter two which explains in greater detail the events that took place during creation week. We see this principle of Bible study at work in the book of Daniel. Daniel chapter 2 gives us the details that there would be four world powers and they would be Babylon, Medo-Persia, Greece, and Rome. Each of these empires was represented by a metal. Gold for Babylon, Silver for Medo-Persia, bronze or brass for Greece, and finally Iron for Rome. We also see in the second chapter that these world empires made up part of this great statue with the legs being made of iron. But then comes the feet part mixed of iron and clay. History has shown that when Rome broke up, there became 10 separate and smaller kingdoms which formed in modern day Europe. They are represented by these feet of iron and of clay, as such they will never stick together or become reunited under one civil leader. Daniel later saw other visions that further explained events that would unfold upon the pages of history. Each subsequent vision giving more detail as to what would happen during the time each empire would rule. 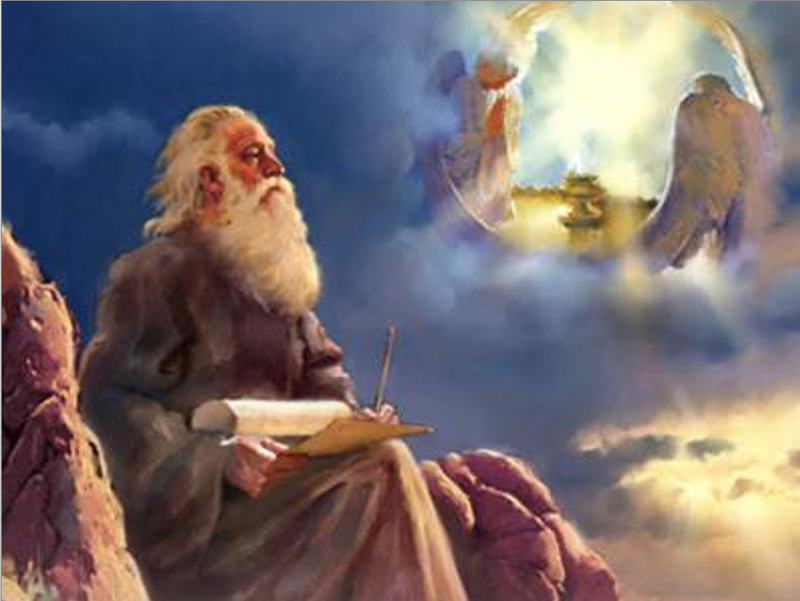 Then we see that Daniel also received a vision of a great time prophecy that would cover 2300 days. We discovered that a day in Bible prophecy equals one literal year. A day for a year. This prophecy troubled Daniel and so he fasted and prayed, resulting in seeing more visions which each subsequent vision building upon and bringing more light to the vision before. Christ often used this teaching method with the Disciples. Often he would give them a parable and then later give them the meaning of the parable. This method of teaching is still practiced today. In math we first teach that 2+2=4 and then add the concept of 4-2=2. When we have learned this principle we add more detail, if 2+2=4 then 2×2=4 or 4÷2=2. Simplistic explanation but we should all see the point. The Bible will take a concept and then build upon it and explain in further detail the concept that was first shown earlier. That is what is happening in Revelation. God first establishes that He is the author of the book which he gave to Jesus, who gave it to His messenger who gave it to John who then gave it to the Seven Churches and then ultimately to you and I.
John then gives a specific message that was to be shared to all the churches so that they could better see their condition and hopefully avoid the problems that would arise by not remaining faithful to Christ Jesus. After the letters to the seven churches, John brings us back to the day of Pentecost when there was this great outpouring of the Holy Spirit upon the 120 people that had crowed into the upper room to pray together. As the Holy Spirit was being poured out upon the Apostles, John brings us back in chapters 4 and 5 to the scene taking place in the Heavenly Throne Room, which is the Sanctuary in heaven. To help us better understand what is happening in the heavenly sanctuary we need to look back at the earthly sanctuary that was built by Moses as he was instructed by God. The sanctuary Moses build was patterned from the sanctuary that is in heaven. John saw in his vision of Revelation chapters 4 and 5 the enthronement of Christ. All power and authority was given to Christ to act as our High Priest and as our King. John saw that there was this scroll which had 7 seals on it and there was no one worthy to open this scroll except the Lamb which was slain. He and He alone is worthy to open the scroll for he has paid the price by his living a sinless life and then suffering and dying upon the cross. As we are about to see, Revelation is about to take the visions or messages of the seven church and the time periods they represent and expand upon them, for as our lesson is starting today, we see that Christ is breaking open the seals on the scroll that was given him during His enthronement. So let’s begin our study of today’s lesson. Probably the four horsemen, symbolized in this chapter, have received more interest and extravagant interpretations than any of the other dramatic prophecies in the Book of Revelation. Almost everyone has heard about the “four horsemen of the Apocalypse.” God, in His unique way, uses cartoon like animation to describe the history of the Christian church and how it was affected by what was transpiring in the world during specific time periods. “As far back as the third century A.D., persecuted Christians were drawing much comfort and inspiration from this chapter. It was impossible, however, for this book to be fully understood until the unfolding of the events. Nevertheless, Victorinus, who was martyred in A.D. 303 during the Diocletian persecutions, wrote a complete commentary on revelation. This commentary is still extant. . . . the prophecies of Revelation are not successive, they are repetitive; that is, they double back, covering the same periods of time. For example, the seven seals and the seven trumpets cover the same period of time as do the seven churches.” -Unfolding the Revelation, p. 60. Three of the four passages above talk about Horses and use similar colors to represent the horses as John does in the 6th chapter of Revelation. In Zechariah 6:1-8 we have these horses being sent out to walk to and fro throughout the earth. Zechariah 10:3 shows that God is upset with those that are supposed to be shepherding the flock. I would like to propose that the term flock actually represents the church. The passage literally reads, “My anger is kindled against the shepherds, and I will punish the goatherds. For the LORD of hosts will visit His flock, the house of Judah, and will make them as His royal horse in battle. My anger is kindled against the shepherds, those that I have entrusted to care for the sheep for they have led the sheep astray. But what about the reference to goats? Genesis 31:20, 12 along with Deuteronomy 32:14 show us that He-goats or goatherds are the religious leaders; (see Isaiah 14:9). Yet for those who have remained faithful to God, He will bless His people and make them strong so that they can overcome their foes. Which brings us to Joel 2:2-5. Pay close attention to this verse, it will go a long way in describing certain events taking place as the seals are opened and the coming trumpets are blown. The Prophet Joel is describing a group of people that spread from over the mountains. So great in number that they cover the earth, blocking the sun from the earth. The land is lush and green before them but they advance like a devouring fire, leaving death and destruction in their wake. What a description of something that is coming. Could it be as we study about the seven seals and seven trumpets we will again see these same horses, misguided leaders, and a people that devour all that is before them? Let’s find out. This chapter is a continuation of the two preceding chapters in Revelation. In the previous chapters we found John describing the throne room in heaven with Jesus, as a slain Lamb, standing by His father, who is seated on the throne and surrounded by the other creatures and beings. Then we see John weeping! Answer: Because the Lamb, who is the Lion of the tribe of Judah, and the Root of David has prevailed. “If indeed you continue in the faith, grounded and steadfast, and are not moved away from the hope of the gospel which you heard, which was preached to every creature under heaven of which I Paul became a Minister. Some church historians have said that if Christianity had continued to progress as it had during this time period, the whole world would have been converted. In Revelation, White always and without exception, refers to Christ or his followers. It is never used with reference to the forces of evil. And the one sitting upon it (the horse) had a bow. In the Old Testament it was often used as a symbol of enemy forces. In Isaiah 41:2; Lamentations 2:4; 3:12; Habakkuk 3:8-9; Zechariah 9:13 it is used as a weapon of God. We are beginning to picture the gospel message going forth in it purity as a conqueror. The leader of this conquering force is Christ and the bow represents the preaching of the gospel by his faithful people. Why the crown. Does the rider of the white horse ware the crown of a king or a victor’s crown? 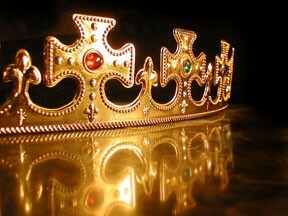 In Revelation 19 Christ returns bringing wearing a kingly crown, or a royal crown. In chapter 6, He has a crown of victory. His victory over sin, His victory over death. And at the second coming he will offer victory crowns to all those that are overcomers. As with the message to the church of Ephesus (Lesson 2; Revelation 2:1-7), the scene of the opening of the first seal can be applied historically to the church of the apostolic period. However, an important point must be understood. The conquest of the rider on the white horse in no way ends with the apostolic era or first century. Rather, it portrays in a general way the ongoing profess of the gospel throughout Christian history beginning in John’s day and continuing until the Second Coming. Christ will continue with the triumphant expansion of his kingdom until all have made a decision for or against him. As it says in Matthew 24:14. The gospel of the kingdom will be preached throughout the whole world, as a testimony to all nations; and then the end will come. NOTE: Red represent blood and persecution. This time period corresponds to the church of Smyrna, the period of pagan persecution of the Christian church. Literally millions died as pagan Roman emperors tried to wipe out Christianity. Resistance to the gospel message results in a loss of peace. Isiah stated: “but the wicked are like a tossing sea, for it cannot be quiet, and its waters toss up refuse and mud. ‘There is no peace for the wicked,’ says my God.” (Isaiah 57:20-21). Jesus explained that when people reject the love of the gospel, they lose the peace that the gospel brings. This will result in naturally in opposition and division. “Then they will deliver you up to tribulation, and will kill you, and you will be hated by all nations on account of My name. And at that time many will fall away, and will deliver up one another and hate one another” (see Matthew 24:9-10 and confer with Matthew 10:21-22, 34-36). God never promised that the spreading of the gospel message would be easy. (see Matthew 10:34-36 and confer with Matthew 10:21). It becomes clear that this these passages from Matthew defines adequately the symbolic meaning of the scene shown by the opening of the second seal. Here we discover that, indeed, the black horse – symbol of apostasy and corruption and subjection to the power of darkness – is fitting description of the church of Pergamos. 7. 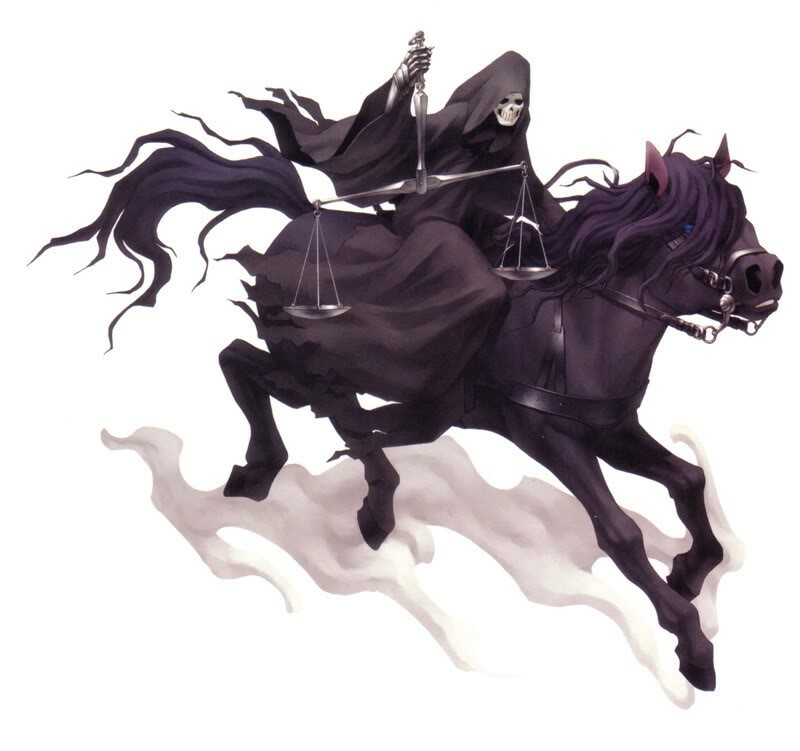 What do the balances, or the yoke in the rider’s hand represent? ANSWER: Some prophecy scholars believe the balances or yokes signify that religion and civil powers would be united. This was true of the roman emperors from the time of Constantine until the reign of Justinian. But verse 6 of Revelation 6 ends with these words, “Do not harm the oil and the wine.” The word harm is used elsewhere in the book of Revelation, (Revelation 2:11, 9:10, 19) and is used for the judgment of evildoers or for persecution of God’s people, (Revelation 11:5). It can also be used symbolically as damaging and destroying the earth and plants, (Revelation 7:2-3; and Revelation 9:4). In Palestine, grain, wine and oil were three main crops. Some believe that wheat signified the basic part of the diet, the oil and wine were luxuries. However, grain, oil, and wine are mentioned together repeatedly in the Old Testament as representing the ordinary necessities of life. (Deuteronomy 7:13; Deuteronomy 11:14; Deuteronomy 28:51; II Chronicles 32:28; Hosea 2:8, 22; Joel 2:19) Yet all three crops were essential to life in the Bible lands and were not regarded as real luxuries. Because the olive and vine were much more deeply rooted than grain, which was shallow rooted, they could survive a drought much easily than grain could. So, while drought would have damaged and destroyed necessities of the basic diet, the hardship of the famine plague in the scene of the opening of the third seal was limited and partial. Therefore the rider on the black horse represent symbolically a spiritual famine of the word of God rather than a physical shortage of food. The prophecy of Amos suggests that famine can be spiritual. (See Amos 8:11-13) The grain, more specifically the wheat being the more expensive of the grains signifies richness of God’s Word, for God’s Word is the bread of life. But there now becomes a spiritual famine where the more easily grown and cheaper grain is now substituted. The Barley represents a cheapening of the Gospel message. It still took a day’s wage to feed yourself, but the quality of the food was inferior. The famine is not fatal. Not all truth died out. Although Wheat was in short supply, the wine was not touched. God gracious salvation in Jesus Christ is symbolized in the wine and the oil stands for the Holy Spirit. It was during the Middle Ages that there was a read shortage of God’s word in the world, while the gospel message was kept hidden from the people. But the Holy Spirit, represented by the oil was still at work making salvation available. It was during the Middle Ages that there was a read shortage of God’s word in the world, while the gospel message was kept hidden from the people. But the Holy Spirit, represented by the oil was still at work making salvation available. Answer: Ashen which is actually green in color. A wound that is infected will eventually become green or ashen. Sick with death on the door step. NOTE: The color of this horse is the color of death. If you hit your thumb really hard with a hammer, it hurts a lot and it turns black, but it is still alive. But if you thumb loses all its color and feeling, it dies. Now we come to the “dead church” the pale horse. Revelation 1:18 makes it clear that as terrible and hades and death might be, they are under Christ’s control. Christ is the One who holds the key of Hades and with the opening of the fourth seal, Death and Hades appear as the ultimate consequence of the rejection of the gospel. Death is the natural consequence of the famine which is portrayed in the scene of the opening of the third seal. However death and hades, these two enemies of the gospel are temporary. The truth of the gospel is that death is a consequence of sin. (See Genesis chapter 3). Death however does not need to be an ultimate reality for Revelation makes clear that the day is coming when Death and Hades will have their end in the second death. But for the time being, they are given authority over one fourth of the earth. Revelation 7:1 speaks of the four winds which are related to the four corners of the earth. 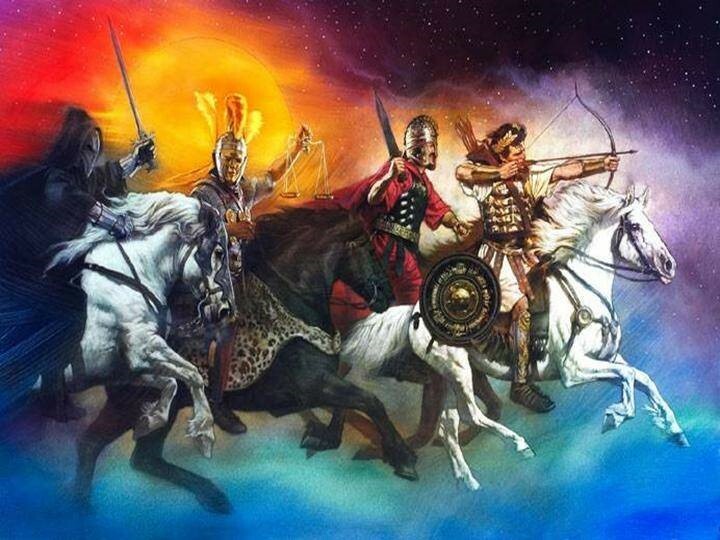 The first four seals, these great apocalyptic horsemen, are only given temporary control and only over a quarter of the earth. NOTE: Horrible indeed were the deeds done in the name of the meek and lowly Jesus. Millions of people were murdered during the Inquisition and Medieval Church wars. Religious leaders, inspired by the spirit of antichrist, invented the most inhumane methods of torture. Even a casual reading of the gospel would quickly say such outrages were not the work of Christ, but the work of the antichrist. The promise of sword, famine, wild beasts and plagues were designed to bring the people to a realization of their dependence upon God and ultimately to repentance. The rider on the fourth horse describes the most serious situation. It represents an intensification of the activities of the first three riders. Thus, the first four seals describe the reality of what happens as the consequence of sin, and yet they provide open in that reality. As terrible as these plagues might be and are, they are not an end in and of themselves. They are intended to awaken God’s people. The rider on the white horse portrays the proclamation of the gospel to the world through the faithful church. Whenever the gospel is being preached, division takes place; some accept it and others reject and resist it. The rider on the red horse portrays opposition to the gospel. For those who reject and resist the gospel, a spiritual famine follows that leads to spiritual death. 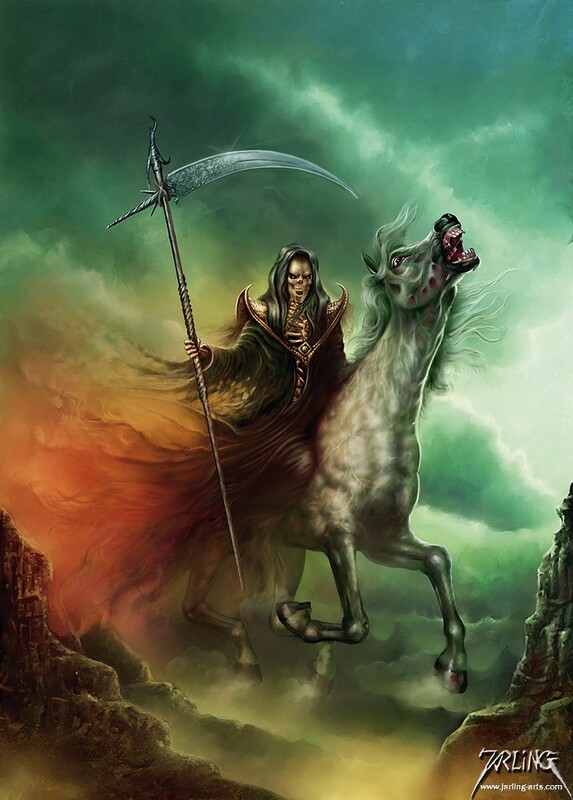 The rider on the black horse portrays the famine for the word of God, while the rider on the pale horse describes the pestilence and death which result from that famine. All these scenes are drawn from the Old Testament, and they contain the permanent truth of what happens when people reject the gospel and choose to live in sin. Being understood in such a way the riders on the four horses may portray general realities; that is to say, they describe what each person experiences when confronted with the gospel. When a person hears and accepts the gospel, he or she experiences the fullness of blessing and joy of salvation as a result of the close relationship with Christ. On the other hand, rejection and resistance to the gospel always results in the progressive decline leading to spiritual famine and death. ð It is my desire to follow Jesus and the truths of the Bible. ð Regardless of the cost, with God’s help, I choose to be faithful unto death.